This week saw a couple of important developments concerning safety on the rails emanating from the federal government and railroads. The initiatives, a campaign from a nonprofit backed by railroads, a trade group and the government that stresses the dangers of being near train tracks and a set of proposed rules from the Federal Railroad Administration, are welcome measures. And San Francisco train accident attorney Gregory J. Brod joins safety advocates in hoping that these steps will help stem the rising number of deaths on railroad tracks. On Tuesday, ads began appearing on television for a campaign that has been dubbed “See Tracks? Think Train,” in which a young man is shown walking on railroad tracks while wearing headphones and not realizing that a train is approaching. According to KTVU News, the CEO of the campaign sponsor, Joyce Rose of Operation Lifesaver, which is a nonprofit focused on educating people about the hazards of railroads, believes that the uptick in deaths on the rails in 2013 may be tied to the increased use of smartphones and other electronic devices. Causal factors behind the rail deaths can be the subject for debate, but there is no doubt that there was an increase in fatalities from 2012 to 2013. After a period of declines in derailments and crossing accidents, the number of trespassing deaths jumped by 47, or 11 percent, to 476 last year; the number of deaths in accidents rose by nearly 8 percent to 250 last year. The campaign is also supported by the Association of American Railroads trade group, major railroads and the FRA. Interestingly enough, the “See Tracks? Think Train” initiative comes on the heels of the tragic death late last month in Marysville, California, where a teenager died on train tracks after being hit by a train when trying to save his girlfriend. According to the Sacramento Bee, Mateus Moore, a student at the Marysville Charter Academy for the Arts and his girlfriend, Mickayla Friend, both 16, were walking on railroad tracks on March 21 and didn’t realize that a train was fast approaching them from behind. Although the train sounded a warning horn and tried to stop it was too late; Moore died after being hit by the train but not before making the fateful decision to shove Friend away, which helped spare her from the brunt of the collision. Property owners have a duty of care to remove or mitigate conditions that may cause harm to an individual who uses their property for legitimate purposes. And that duty extends to children who may be trespassers but are attracted out of curiosity to investigate the hazardous conditions of a property, i.e., an “attractive nuisance,” which may be grounds for a premises liability and may or may not be relevant in the Marysville case. The FRA, which is an agency of the Department of Transportation, says that the number of injuries and deaths changes from year to year depending on factors such as construction near train tracks or stepped-up vehicle and pedestrian traffic. On Wednesday, the FRA announced that it was issuing a proposed rule requiring two-man crews on trains carrying crude oil and setting minimum crew size standards for most freight and passenger trains. 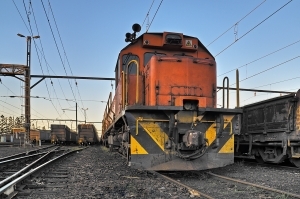 Additional FRA guidelines are expected on securing unattended freight cars, requiring railroads to verify securement of those cars for emergency responders, and mandating that locomotive cabs be locked and reversers to be removed and secured. There have been several incidents involving the spilling of hazardous materials from trains in recent years, but one that triggered an emergency session of the Railroad Safety Advisory Committee that resulted in the government’s recommendations was the deadly derailment of an unattended freight train carrying crude oil in Lac-Megantic, Quebec, Canada, on July 6, 2013. 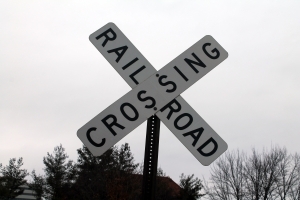 We certainly hope that the developments this week help save lives and prevent injuries on our nation’s railroad tracks. In the meantime, if you or a loved one sustains an injury or worse in a railroad accident, it is important to seek legal counsel as soon as possible and we urge you to contact the experienced attorneys at the Brod Law Firm for a free consultation.